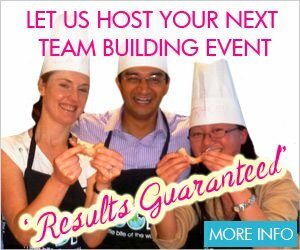 Are you looking for French Cooking Classes in Sydney? Look no further! VictorsFood offers a range of French cooking classes where you’ll be strolling the boulevards of Paris in your mind as you revel in the wonderful smells in the air. Our popular classes included French Winter and Spring Bistro style cooking. A list of our current French cooking classes is below. You can also check our proposed classes and express your interest for future classes. I love Paris in the Winter!! Winter in France makes our hearts yearn for classic bold dishes that infuse this class with Winter bistro ambience. Think warm Celeriac Soup with truffle oil, Juicy Pork Toulouse Sausages with puy lentils, prawn avocado endive salad w taragon, and, of course, Tarte Tatin - I can feel the warmth now and Edith Piaf singing away!